We are officially in the offseason, which means it is draft and free agency season. Over the next few weeks, there will be a lot of talk and preparation for the start of the NFL's free agency period starting March 13th. Probably the thing that gets people more excited is the NFL draft. Google mock drafts, and you will find countless reports and attempts at analyzing what could happen when the 32 teams go on the clock come April. 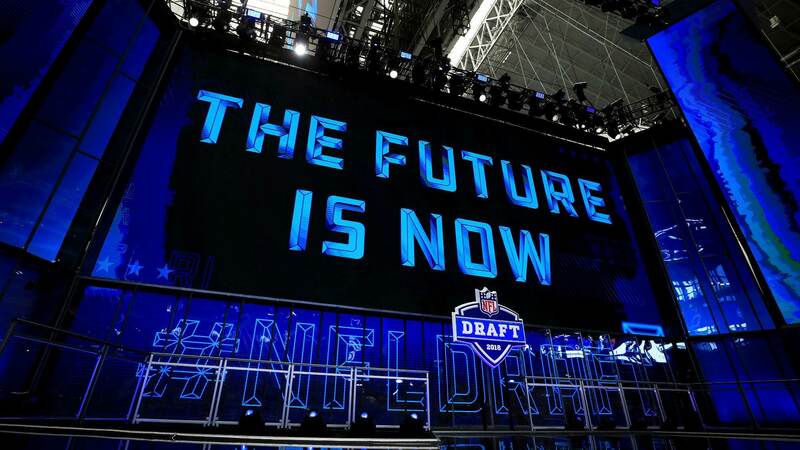 With the Dallas Cowboys not owning a first round pick in this year's draft, the projections get even more complicated as they'll have to see 57 players go off the board before making their choice at number 58. So much can change between now and then that attempting to figure out who the Cowboys will take is a really difficult exercise. 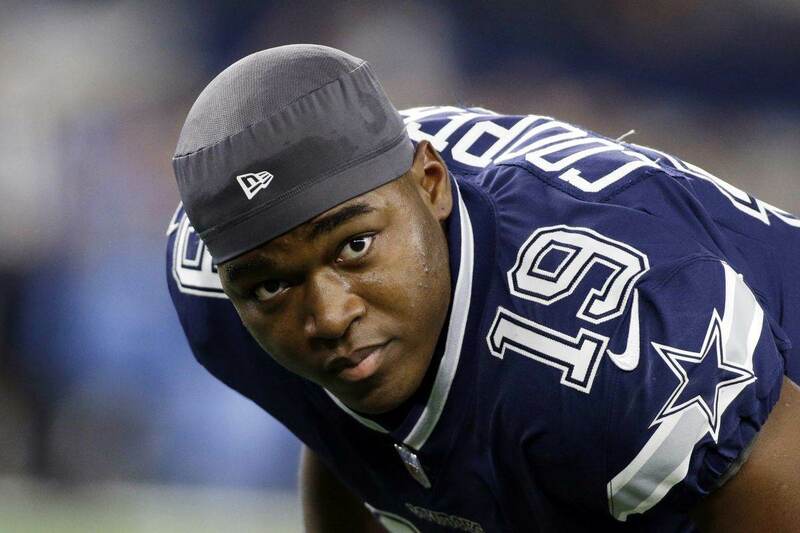 What I want to do, is look at who has recently been mocked to the Dallas Cowboys. In Easterling's most recent four round mock draft, he sent the Dallas Cowboys some interior defensive line help. As shown by the Cowboys loss to the Los Angeles Rams in the divisional round of the playoffs, they could use the help. As a senior, Omenihu recorded 9.5 sacks and 18 tackles for loss to go with his 45 total tackles. 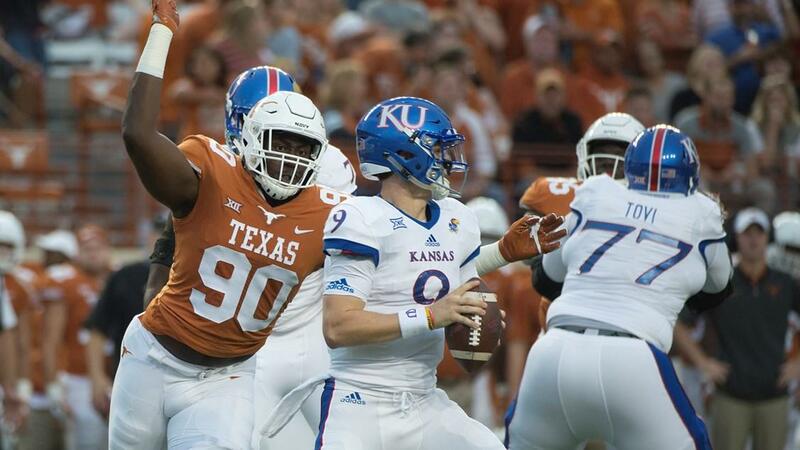 To be that productive along the interior in the pass happy, spread heavy Big 12 is a huge accomplishment. He looks to have the size that Dallas could slot in as a 3-technique defensive tackle at 6-6 275. His length would cause a lot of problems on the interior. 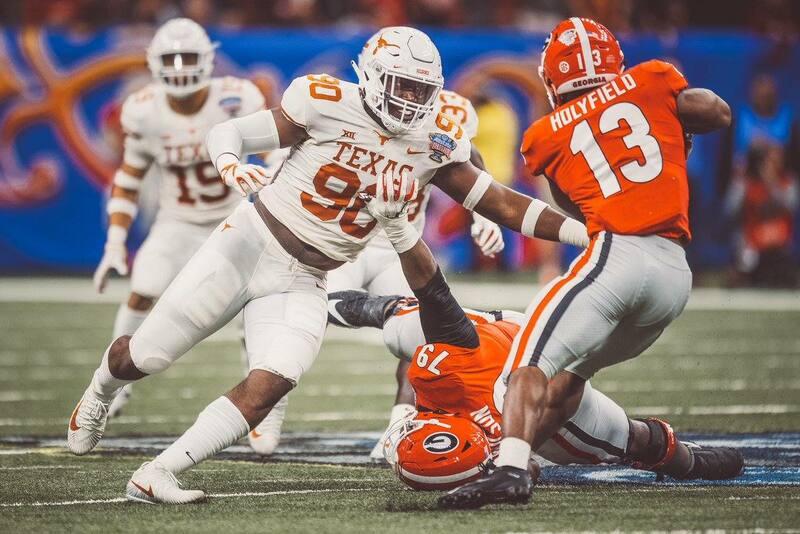 In this seven round mock draft simulation by Draftek, they find the Dallas Cowboys an interior defensive lineman as well in the form of Gerald Willis of Miami. Here's what their Dallas Cowboys analyst "Long Ball" had to say about Willis. "Gerald Willis displayed flashes at Miami: explosive first step, utilization of hands and power in swim move, relentless pursuit with straight-line speed to chase plays down from the back side, and physicality in his tackling technique. Areas that need improvement: staying low to play with leverage, consistency with hand placement, and mental recognition of blocking. Off-the-field issues led to a transfer from Florida and he took a year off in 2017 while at Miami. I don't know if this will "Red Flag" him on the Dallas board, but if it does, I know the Cowboys visited with DT's DeMarcus Christmas (Florida State) and Greg Gaines (Washington) during the Senior Bowl." Willis was only a one-year player at Miami, but came up with a nice senior season where he racked up four sacks and 18 tackles for loss. He's likely a raw player that needs some refining, but with Rod Marinelli around he could bring out the best in a player that has the size to be disruptive on the interior. "With David Irving an afterthought and Maliek Collins entering the final year of his deal, defensive tackle is likely to be high on Dallas’ early round wish list." Like Omenihu, Wren is big at 6-6, but comes in more than 20 pounds heavier than the Texas product. His size makes him more of a run stuffing 1-technique defensive tackle spot for the Cowboys and should help their interior rush and run defense, which would make life easier on Jaylon Smith and Leighton Vander Esh at the second level. He wasn't nearly as productive as Omenihu, as he never had more than 1.5 sacks in a season at Arizona State. Luke Easterling of The Draft Wire put together a three-round mock draft back in the middle of January and sent the Dallas Cowboys a tight end in the form of Stanford product Kaden Smith. Smith caught 47 passes for 637 yards and two touchdowns in 2018 after catching 23 passes for 414 yards and five touchdowns in 2017. He averaged 15 yards per reception in his two-year career at Stanford. Those numbers on the surface may not look very impressive, but remember that Stanford is one of the more run-heavy teams in college football, which means fewer opportunities for their pass catchers. Like former teammate now Dallas Cowboys Tight End Dalton Schultz, Smith will come into the NFL with a more well-rounded game than many other college tight ends. He would have been asked to be a blocker pretty regularly in Stanford's offense, which gives him a leg up in adapting to the NFL game. Tight end is going to be a popular selection for those doing mock drafts for the Dallas Cowboys as it's a position that has a some potential in Blake Jarwin and Dalton Schultz, but is by no means solidified. It's an excellent draft to take a tight end as there are usable options as late as the fifth round in this year's group. Another mock draft and another tight end. This time it's Aggie Tight End Jace Sternberger being mocked to the Dallas Cowboys at 58 by Chad Reuter of NFL.com. Sternberger is becoming one of my favorite tight ends in the class. Sternberger looks strong and able to run good routes, especially down field. He is a big play threat that averaged 17.3 yards per reception this season for the Aggies. He caught 48 passes for 832 yards and 10 touchdowns. Reuter references the absence of Jason Witten in the Cowboys passing game and that certainly made a difference. However, we saw how much could be improved with the addition of Amari Cooper. Reuter's three round mock provides another pass catching option in the third round to the Cowboys, though this one is less exciting. In his two round mock draft released earlier in the week, Ben Standig of NBC Sports had the Cowboys selecting Defensive End Oshane Ximenes from Old Dominion. Standig cites the looming free agency of DeMarcus Lawrence and likely departure of David Irving -- though we know Irving to be more of a tackle -- as his reasons for using the 58th pick in the draft on an edge rusher. We know that DeMarcus Lawrence is going to be back. Combine that with the emergence of Randy Gregory in the 2019 season and it makes defensive end much less of a priority in the draft. It's an interesting use of the Cowboys first selection in the 2019 NFL Draft with DeMarcus Lawrence set to return and the emergence of Randy Gregory. Over at SB Nation, they continued the trend with the Dallas Cowboys selecting defense first in the second round in the form of Mississippi State Safety Johnathan Abram. Here's what Dan Kadar had to say about the player. "The Cowboys might not have a first-round pick this year, but Abram has the traits of one. He loves to crack receivers coming over the middle and is aggressive coming up to play the run." Safety is certainly an area where the Dallas Cowboys could improve. Despite some playmaking and otherwise solid play from Jeff Heath, they need to look to upgrade that position. They'll have a chance to do so in free agency with names like Earl Thomas, Landon Collins, Tre Boston, and Tyrann Mathieu available, but if they don't go that route, Abram sounds like a good fit to play with Xavier Woods who is more the free safety type. With this NFL Draft being so loaded with defensive lineman and tight end, it's very likely that is where the Cowboys will look to allocate one of their first couple of picks. Depending on what happens with Wide Receiver Cole Beasley in free agency, you could see wide receiver move up the position needs rankings. If they're able to get him to return, it would become unlikely that the Cowboys would use pick number 58 on a wide receiver. We still have nearly three months till the NFL Draft and it's already shaping up to be another nice April for the Dallas Cowboys.